All fair enough, and more or less exactly the message that had been flowing through to CA from every possible avenue over the past three days. 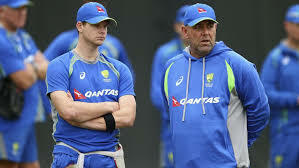 But the goodwill that Sutherland was seeking to build fell flat almost immediately at the moment he followed up the announcement about sending home Steven Smith, David Warner and Cameron Bancroft with a rather abrupt change of pace: the coach Darren Lehmann was to stay. Even as Sutherland was leaving the conference room, questions were already being asked as to how three players had been summarily removed from the team for ball tampering without any apparent recognition or remedial action to address the culture that had brought them to that point. No-one over the past five years has been more closely associated with that culture than Lehmann, who personified the sunny public face but ruthless approach to opponents that had them referred to as a “pack of dogs” by Faf du Plessis in 2014 – Terriers then, they have been Rottweilers in 2018. While it is quite plausible that Lehmann did not know of the ball-tampering plan hatched between Warner, Smith and Bancroft, he most certainly knew about it at the moment the young opener was shown doing suspicious things on the Newlands big screen. After all, there was the walkie-talkie conversation with Pete Handscomb, who then spoke to Bancroft on the field. His subsequent actions strongly suggested the message was anything but “go and volunteer this to the umpires, you’ve done the wrong thing and you’d better ‘fess up'”. And even if Lehmann had not been witnessed in this exchange, the question of the team’s culture still hangs very much over his head. 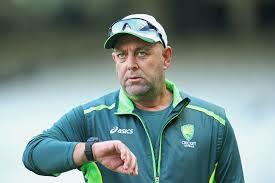 All the players involved and sent home have been closely mentored by Lehmann over some or all of the past five years, from the moment he bluntly and simply told Warner, in front of the rest of the team, words to the effect of “screw up once more and you’re gone” on the same day he became coach in England in 2013. That day was also Smith’s first as part of the Ashes squad, having been added to the squad at the last possible moment. Bancroft, of course, made his debut during the most recent Ashes summer, by which time the team ethos had been well and truly entrenched, much as Lehmann had become – flagging his departure at the end of the World Cup and Ashes double in 2019 would mean seven years in the job. Yet in admitting that Australian cricket culture had moved so far from where it should be, Sutherland also obfuscated when asked how it could be possible that the avatar of that movement could be left in charge to oversee its correction. 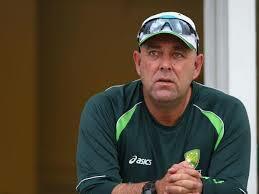 In relation to Lehmann, he had not even thought about it. “I haven’t gone into any detail to be honest,” he said. “I’ve arrived in South Africa earlier this morning. Ah yes, the review. There have been a great many reviews in Sutherland’s time as CEO, including no fewer than three all at once in 2011 – Don Argus on team performance, David Crawford and Colin Carter on governance and the former head of strategy Andrew Jones on financial modelling. All of these reviews delivered clear outcomes but, as with the delays inherent in charging and sanctioning Smith, Warner and Bancroft, they were exemplars of an organisation that venerates “process” above decision-making. Having floated the idea of an independent review “into the conduct and culture of our Australian men’s teams”, Sutherland essentially conceded this was little more than a thought bubble thus far. The Australian Cricketers Association president, Greg Dyer, has been quick to note that any such review should not stop at the teams but also look at the administration. “This assessment must include all contributing parties to this culture, players, coaches and administrators, programs and systems, behaviours and accountabilities,” he said. “Australia’s core values of respect, integrity and fairness must be brought to bear on the game of cricket through such a process. Those sorts of reminders have become increasingly few and far between. Any past focus on the spirit of cricket within CA has in recent years been obscured beneath an evermore aggressive pursuit of market share. The off-field actions of the governing body’s marketing, digital, commercial and sponsorship arms have gained them about as much love and respect from corporate partners and “stakeholders” as the Lehmann era has from cricketing opponents: not much. That hurt, though, was not deep enough to ask serious questions of Lehmann, not without first initiating a review which will take time as the problems of Newlands cool and the players face most of the opprobrium and career costs of an episode that could not have taken place without the dressing-room culture fostered by the coach. The lack of decisiveness in this respect actually brought a sharp contrast with the aforementioned day upon which Lehmann took the job, at another press conference devoid of backdrops, in Bristol in June 2013. Of all the ironies in that five-year-old statement, none could be more painful than the fact that Arthur was replaced due to the difficulties created by his imperfect attempts to change the culture of the Australian team. This time around, the man most associated with maintaining its increasingly dated brutality has somehow managed to sidestep accountability, at least for now. Not for the first time, Arthur can feel himself very hard done by, and Lehmann the archetypal “Lucky Man”.